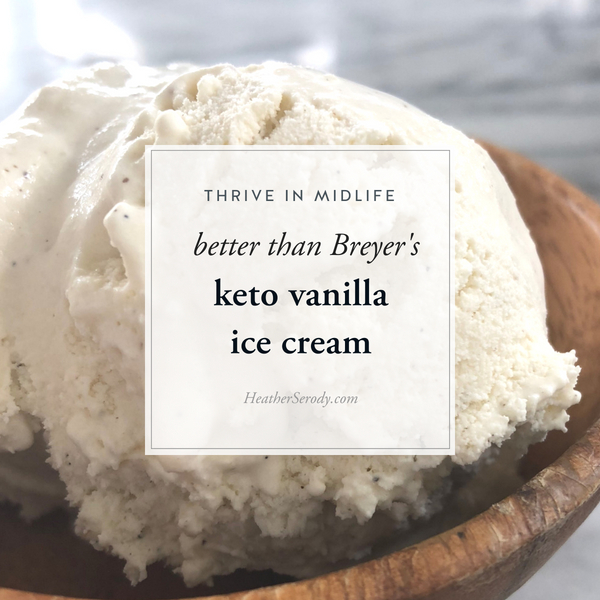 You really won't believe just how easy it is to make keto ice cream that swear-to-God tastes better than Breyer's vanilla ice cream and has just 4 carbs per 1/2 cup serving. The ONLY thing that might hold you back is getting a Cuisinart Ice Cream Maker, but please don't make that mistake. It doesn't really matter if you eat keto or not – making sugar free ice cream is about the nicest thing you can do for yourself and your family because it tastes so much better than store-bought ice cream. And if you DO eat keto, it's an absolute necessity, because why should you go through a summer being tempted by sugary ice cream when you can have THIS? It takes just a couple of minutes to prep, you push a button and 20 minutes later you have fresh ice cream. Alos, for some reason, ice cream manufacturers haven't gotten the memo to not to use artificial sweeteners in their ice cream made for those with blood sugar concerns, so it turns out making your own is your best choice anyway. First things first, order your Cuisinart ice cream maker – it makes ice cream, gelato, frozen yogurt, and sorbet. Amazon carries my favorite model for a great price with free Prime shipping. Premix the ingredients in a bowl, do not mix in the ice cream maker. Insert the paddle into the frozen tub before pouring ingredients in. Use ice cream within 7 days – it tastes best fresh. 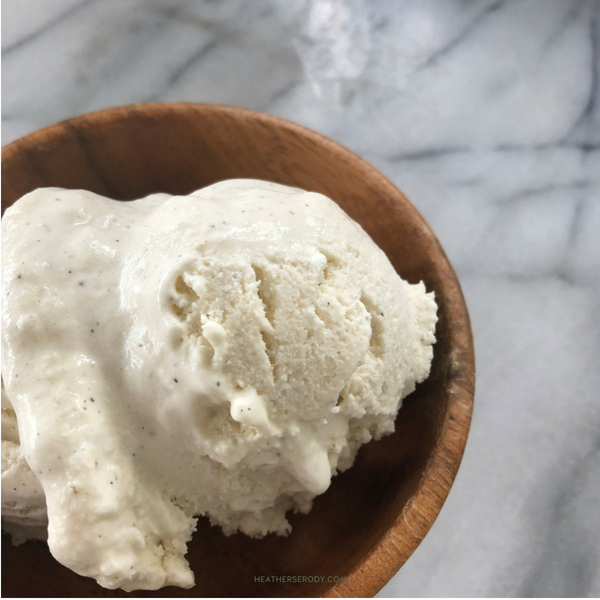 I highly recommend using the vanilla bean powder because it imparts an even better vanilla flavor, and also gives this ice cream those lovely dark vanilla bean flecks (just like Breyer's). Place the frozen insert into the ice cream maker & insert the paddle. Pour the ingredients into the ice cream maker. Select -ice cream' and churn for about 25 minutes, or until sufficiently frozen. Freshly made ice cream tastes best eaten right away. It may be stored tightly covered in the freezer for up to 7 days. If eating from the freezer, allow the ice cream to soften for about 15 minutes before scooping.